Reston Town Center will host family-friendly events each Saturday in March, to benefit Opportunity Neighborhood: Reston. The first such event is scheduled for March 4, from 1-4 p.m., and will include free rides on a vintage carousel, free s’mores and hot chocolate, and a performance by the Fairfax Jubil-Aires. Future events, according to information provided by Town Center owners Boston Properties, will feature complimentary music, pet adoption, balloon artists, carriage rides, funnel cakes, RTC mascot “Resty the Dog,” mini train rides, caricature artists and more. Opportunity Neighborhood: Reston began in October. It is part of a countywide movement that aims to identify areas of need and provide resources that will allow all children to gain a strong academic foundation, family resilience, and a culture of engagement and success. It was developed and launched by planning partners including Cornerstones, Leadership Fairfax, Reston Association, Reston Community Center, YMCA Reston/Fairfax County, Fairfax County Public Schools and various county departments. 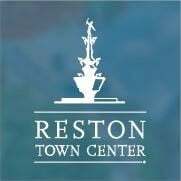 For additional information about Opportunity Neighborhood: Reston and these upcoming events at Reston Town Center, contact Cornerstones CEO Kerrie Wilson at 571-323-9571 or [email protected].